Gone Girl was 2012’s literary sensation and its drug-like grip on the reading public didn’t let up in 2013. The tube looked like a Gone Girl reading hour at times; stacks of the orange and black cover filled bookshop tables and people of Twitter muttered about THAT twist. I had been reluctant to read it, in part, because of its ubiquity, but also the arguments of the people who didn’t enjoy it. 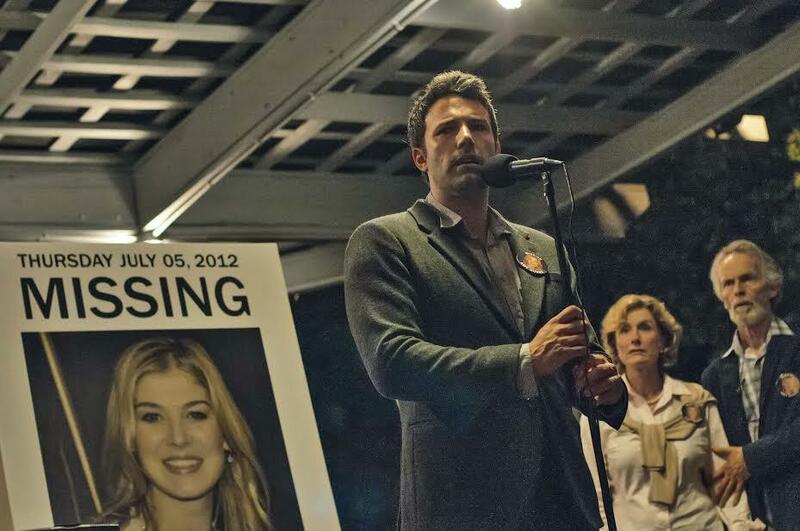 The bad reviews made Gone Girl sound like pulp fiction littered with despicable people. And it is – littered with despicable people that is. You can’t, for the most part, fault Gillian Flynn’s taunt, business like writing. And there’s no doubting Gone Girl’s page-turning credentials; I barely saw my family over Christmas, so engrossed was I in the lives of a spoilt rich-girl sociopath and a man-child liar. For the handful of people that don’t know, Gone Girl is written as a dual narrative, the story of the disappearance of Amy Elliott Dunne told from her perspective and her husband’s, Nick. Gone Girl’s very addictiveness makes it one of those uncomfortable reads where you’re more interested in what’s going to happen next then what’s happening now. For the most part Flynn kept me in the present, but when the plot hit a speedbump (and it did that a few times) I would peak a few pages ahead to reassure myself that this was going to be worth the investment. The pace is relentless; Flynn mostly manages to hold the plot reins tight, although she lets the pace slacken at times, especially during Nick’s narrative. We’re all met a Nick; good-looking, lazy, thinks life should be about what he wants to do, not what he should do. He’s what everyone would describe as ‘a good guy’, which behind closed doors means average and child-like. He whines constantly that the evil internets stole his job as an entertainment journalist and, when the big media guns come out, confuses his former job of film reviewer with crime reporting. The part where he confesses to holding himself up in a garage to read his old magazine as he ‘misses it’ was pitiful. He’s a bully and a narcissist who wants nothing more than his own way at all times. I couldn’t stand him. But I liked Amy. She’s an absolute nutter, sure, and not ideal friend material – in fact I wouldn’t want her within a mile of me. But as a character in a thriller she’s great company; ballsy, hugely intelligent, self-aware, knows people better than they know themselves and doesn’t suffer fools. She’s ambitious and wants people to be better than they are. Even if I can’t relate to her actions, I could relate to some of her frustrations. The key to enjoying Gone Girl is to suspend all belief. The novel’s setting may read like real life – all recession hit suburban America, soccer ‘moms’ and out-of-their-depth Missouri police officers – but Gone Girl is as fantastical as Harry Potter. It’s melodramatic and implausible. Go along with it or continually smack your head into its pages at the ludicrousness of it all. But in amongst all the bonkers stuff, Flynn sneaks in many a truism. Amy makes several astute demolitions of gender constructs and her observations of the ‘Cool Girl’ phenomenon (women who contow to a male ideal) hits many a disappointing post-feminist nail on the head. The novel also says more about love and marriage than any romantic novel. In short, get comfortable at your peril. Flynn is guilty of some modern writer’s bad habits including the leaking of her own opinions into the mouths of their characters; little (bracketed) asides that chime oddly. The whole ‘the internet (or the Internet as Americans call it) killed journalism theme was embarrassing and rang untrue in the mouth of a 34-year-old man who lived in Brooklyn. At nearly 500 pages long, this is not a novel that needs any extra padding. I wasn’t surprised to learn that Flynn was made redundant from Entertainment Weekly in 2009. Clearly, despite the huge success of her novels, it stills stings. Gone Girl’s popularity is easy to understand, it’s everything a good thriller should be, a gripping page-turner with a cast of goodies and badies, enough clues to think you know what’s coming and enough twists to keep you guessing. It’s a smart, easy read. If you haven’t already, it’s worth jumping into Flynn’s crazy world and discovering for yourself what all the fuss is about. This entry was tagged book review, gillian flynn, gone girl, thriller. Bookmark the permalink.